Hi lovely people!, Happy New Month! How has your week been so far? Mine was splendid, attended one of my Friends wedding yesterday it was Fantastic ...follow me on Instagram to see details on what I wore. Hope you all had fun celebrating the 4th of July (Independence Day). 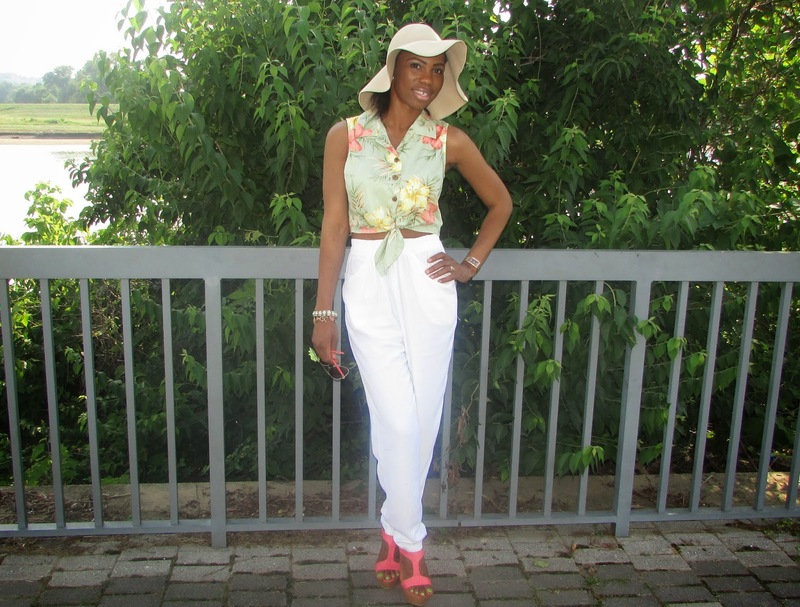 On this post I ensemble this white high-waist trouser with a tie front tropical print crop top. 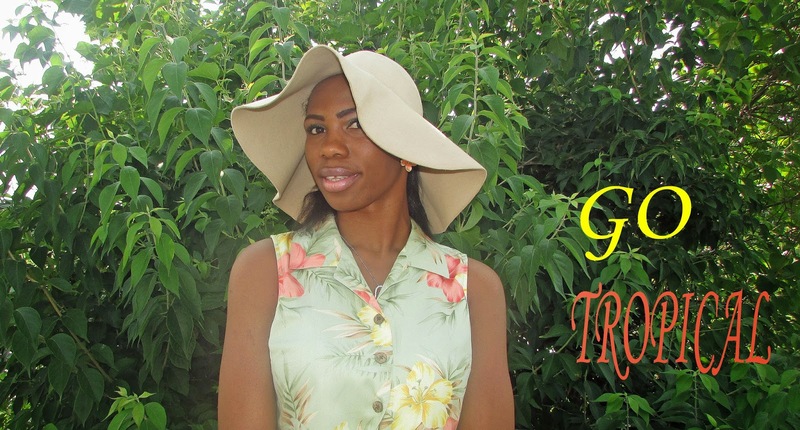 Tropical and fruits prints are trending right now and they are fun and stylish pieces. (Hurry and grab one or 2 pieces if you can.) for a summer chic look. As u can see this look does not have much to say, it just a free style and I love how the flower crop top complement well with fresh green trees and grasses. I opted for a floppy tan hat, a coral wedge heel sandals and a yellow cross shoulder bag, accessories were very little, try to keep it simple as much as you can for an outfit like this. This outfit can be worn for picnic or hanging out with friends .Hope you guys liked it. let me know what u think. Super cute look for the 4th!